Written and copyrighted by Týra Alrune Sahsnotasvriunt, 2014. It is with astonishment that I continually witness Pagans deeming Mary’s virgin birth of Jesus greatly amusing at best and dangerously discriminating of women at worst. 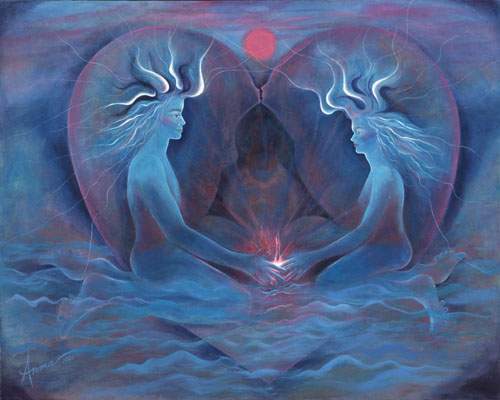 Most Pagan paths view sexuality as healthy and many as sacred. Especially those who grew up in a religion where the reverse was the case, virgin births appear to spark all sorts of enmity or at least skepticism. In fact, virgin or miraculous births were not only established, but the event itself as much as mother and miracle-child held in high esteem in many pre-monotheistic religions. 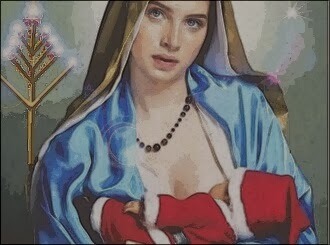 I shall explain the reasons thereof after delivering a few more examples of Pagan virgin births. These were mostly of religious figures, but also of especially enlightened humans, leaders, thinkers. Like Greek philosopher Plato for example. Numerous Greek Gods and Goddesses are considered “parthenos”, virginal or of “pure conception”. Many will be surprised to hear that Zeus, commonly known as the stereotypical philanderer, also was considered parthenos. Although the virginity of Isis has been disputed, since one single depiction of Horus’ conception shows Isis impregnating herself with dead Osiris’ severed phallus, in all other accounts and depictions she is shown as a falcon hovering over Osiris’ dead body and miraculously conceiving Horus this way. 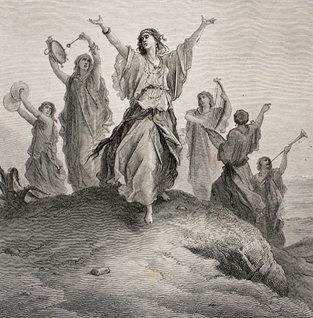 Isis, like a plethora of virgin goddesses and human mothers, remained virginal her whole life. Let us also take a closer look at Osiris himself. He was called “KRST,” the “Anointed One.” Born of the virgin Isis-Meri on December 25th. His earthly or adoptive father’s name was Seb, which translates to Joseph. He taught at the temple at age 12 and was baptized at age 30, inbetween this time he had vanished or at least nothing is known about his life from 13-29. He was baptized in Iarutana river (Jordan) by Anup which translates to John. Anup was later beheaded. His suffering, death, and resurrection are celebrated annually by his disciples on the spring equinox, in other words, Easter. 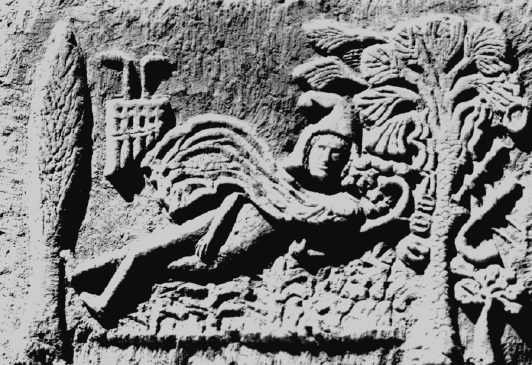 The nymph Moye bathing in a river in China is touched by a lotus plant, and the divine Fohi is born. 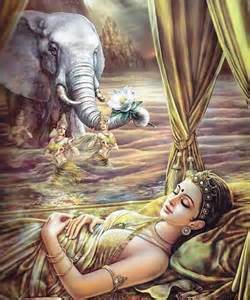 Siddharte Gautama Buddha was born of the Virgin Queen Maha (=the great) Maya. (Interestingly maya is also the Hindu concept of this plane of existence being an illusion.) Maya dreams of a white elephant with six white tusks entering her right side, shortly after which she notices she is pregnant. In “The life of Buddha” we read that he descended on his mother Maya, “in likeness as the heavenly queen, and entered her womb,” and is “born from her right side, to save the world.” He teaches in temple at age 12, Jesus does at age 13. Other similarities to Christianity: In Tibetan Buddhism, Buddha was tempted by Mara, the “Evil One” while fasting. He healed the sick, fed the hungry and obliged followers to renounce the world. In Siam (Vietnam), a teenage girl is impregnated by sunbeams while taking a walk in her garden. She later gives birth to Codom, the “great and wonderful deliverer”. Quetzalcoatl (also: Kukulkan or Kukulan) is a Mesoamerican god-man whose name means snake or also precious feathered serpent. 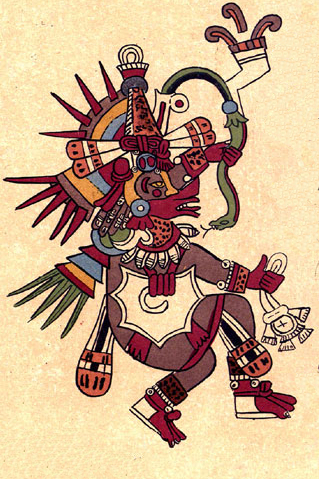 He – together with his twin Xolotl – was born of the virgin Coatlicue. He was associated with the planet Venus, the morning star, as was Jesus. (And on another note: So was Lucifer, but that is a subject for a whole other article. 😉 ) He renounced Tezcatlipoca, the “Prince of Darkness”. His blood resurrects the dead. He is often depicted as bearing a cross on his shoulders. In addition to that he is also often depicted with a cross on his head and his temples bore a cross on top of their roofs also. The cross here represented the four directions, as fitting for a wind-god, but some sources speak of the cross representing the four elements, also. 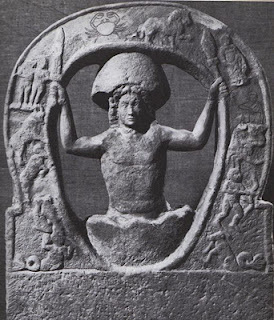 Attis of Phrygia was born of a virgin around the Winter Solstice. He was nailed to a tree for the salvation of mankind. He was buried around Eostre/Ostara but on the third priests found the tomb empty. His followers were baptized in blood to wash away their sins, after which they called themselves “born again”. Dionysus of Greece strikingly resembles this tale. On top of the above mentioned he was identified with the lamb and called “Only begotten son”, “Sin bearer” and “Redeemer”. Indian Krishna’s nativity was heralded by a star and he was born of the virgin Devaki. Krishna traveled widely, performing miracles such raising the dead, healing the sick and feeding the hungry. The crucified Krishna is pictured on the cross with arms extended. Pierced by an arrow while hanging on the cross, Krishna died, but descended into Hell from which He rose again on the third day and ascended into Heaven. Krishna is the second person of the Hindu trinity. 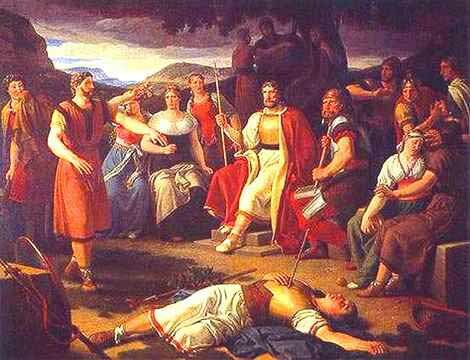 At least one folk tale speaks of Balder having been conceived by Frigga magically/not by physical means. Balder was the God of Light, Righteousness, bringer of a new era. Whether he was sacrificed or murdered is a matter of interpretation, but he, too, will come back from the Underworld to reign over a new world. 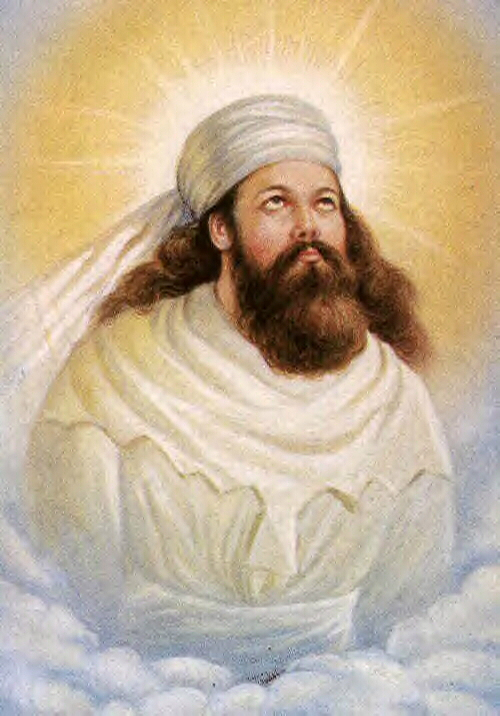 The prophet Zoroaster was claimed to have been born of a virgin, as was Tibetan Indra, Baal of Phoenicia, Tammuz of Syria, Bali of Afghanistan, Esus of the Druids… I could list yet another dozen virginal births, but let’s keep it at these most obvious examples. So, back to Pagans, often feminists, opposing everything to do with virgin births: The interpretation that no human woman can live up to the expectation of this kind of physical “purity” is mislead. These tales are less about physical purity or “sinful sexuality”. When I attended Christian Science services for a while they raised an interesting point. The Bible speaks of man having been created in the likeness of God. What is God? Spirit. No matter if in monotheism or polytheism Gods are known to be able to take shape or “manifest” but they are, ultimately, spirit/of the spiritual world. The impregnation by “spirit” illustrates nicely mankinds spiritual heritage. 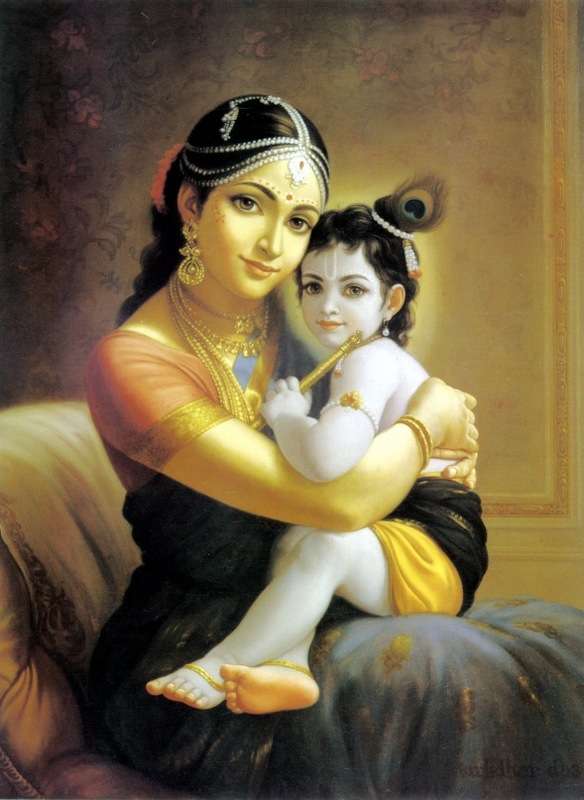 Even in the case of human mothers the children of these virginal births were godly or (a) God, emphasizing the gnostic principle that if we are made in the likeness of the divine and ARE like God(dess in essence, we are a part of the divine or basically the divine is in us as much as we are in it – one. While our human traits, talents, backgrounds all make us different individually and we are separated by different traditions and cultures (and hurray to that kind of diversity! ), our spiritual traits all make us “the same” or equal. Virgin birth – basically a wonderfully comforting and liberating message of “As above, so below”. Enter your email address to follow The Pagan Beanstalk blog and receive notifications of new posts by email. Left Hand Path; religion; philosophy; mind; technology; current affairs.